We bought a new home and have begun remodeling it. Right now HGTV has priority over Animal Planet in our lives, but we can do some birding from our new yard. 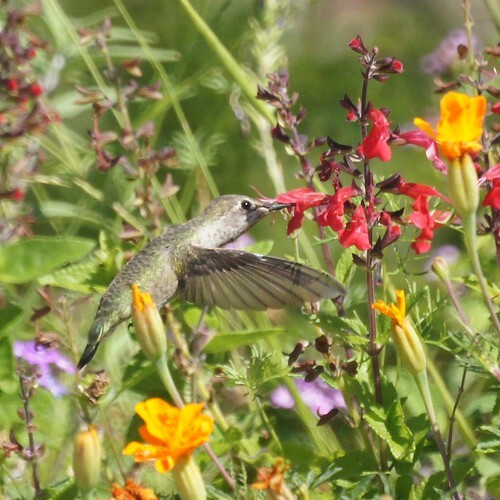 Here's a hummingbird from our garden. Pin-tailed Whydah: Huntington Beach, California.